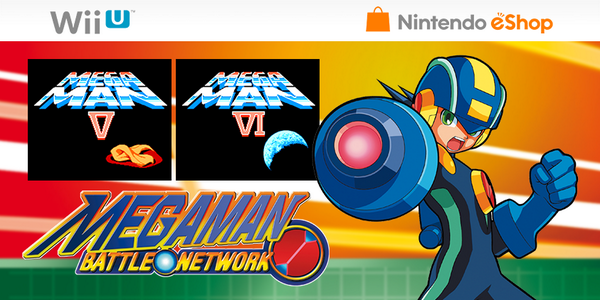 OOH, this will be a great week indeed, if MMBN is released in the US on Thursday. Man, EXE's early official artwork was the most badass. I can't put my finger on why, but for some reason, it was just a little less awesome later on. Nah EXE artwork is just badass in general, Rockman Gregar Beast-Out's official artwork is among my favorite artwork/visuals ever created. EXE easily has the lamest art direction and character design of any MM. Oop! Don't want to be called a hypocrite again based on absolutely nothing. Better agree with your opinion. Oh hey, they're using the regular/US Battle Network logo as opposed to those UGLY EU versions that they had the displeasure of being placed on their boxes. That's a good step forward.